3/4 wig with flexi-comb at top and at bottom for secure look! Just blend your own hair up front. 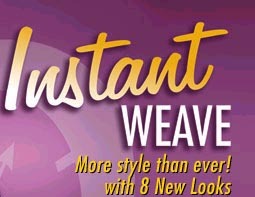 *Change your look in a instant! Blends with your own hair! *So convenient, so trendy, so sensationnel!